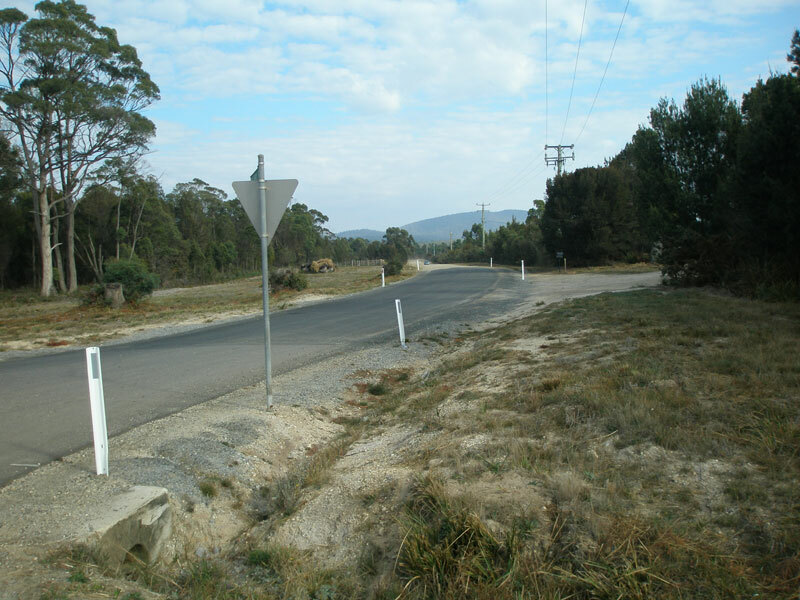 Fingerboard signs at the southern terminus of C721 - the junction with Kelso Rd (A7), 8km north of Beaconsfield. Source: Peter Renshaw, April 2007. 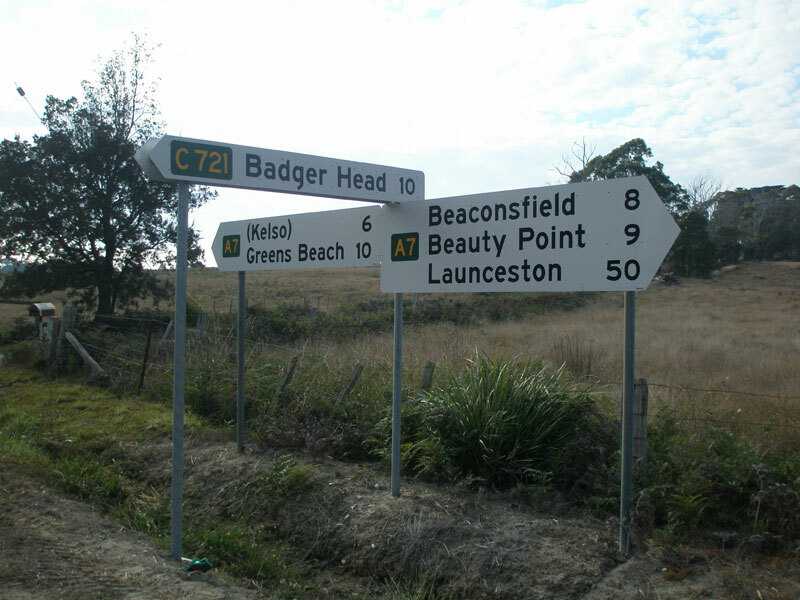 Route C721 is a minor rural route in northern Tasmania, branching from route A7 (Kelso Rd) north of Beaconsfield and heading north-west through predominately forest land to the locality of Badger Head, adjacent to Bass Strait and within Narawntapu National Park. Route C721 is mostly unsealed, however there is a lengthy 3-4km section of bitumen pavement about midway along. 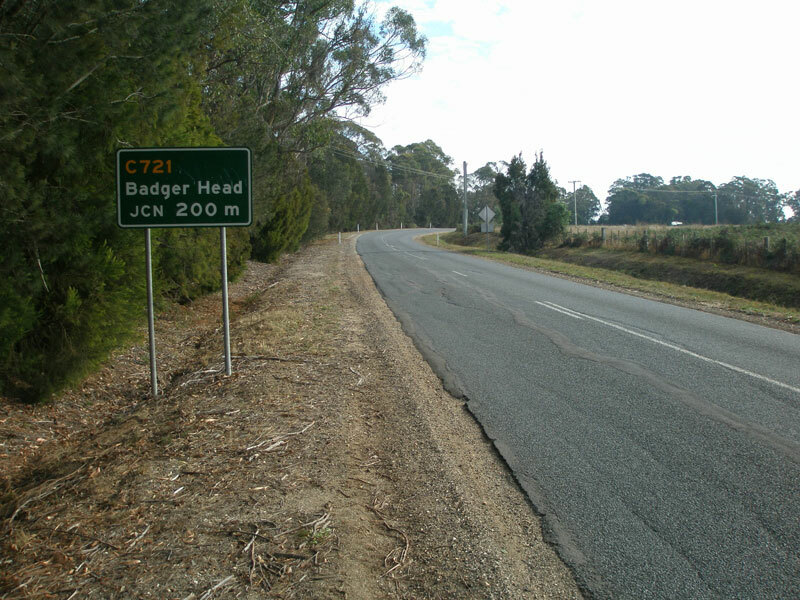 Kelso Rd (A7) northbound approaching the junction with Badger Head Rd (C721), 8km north of Beaconsfield. Fingerboard signs at the junction of Kelso Rd (A7) & Badger Head Rd (C721) - the southern terminus of C721. Badger Head Rd (C721), looking north-west from its junction with Kelso Rd (A7).